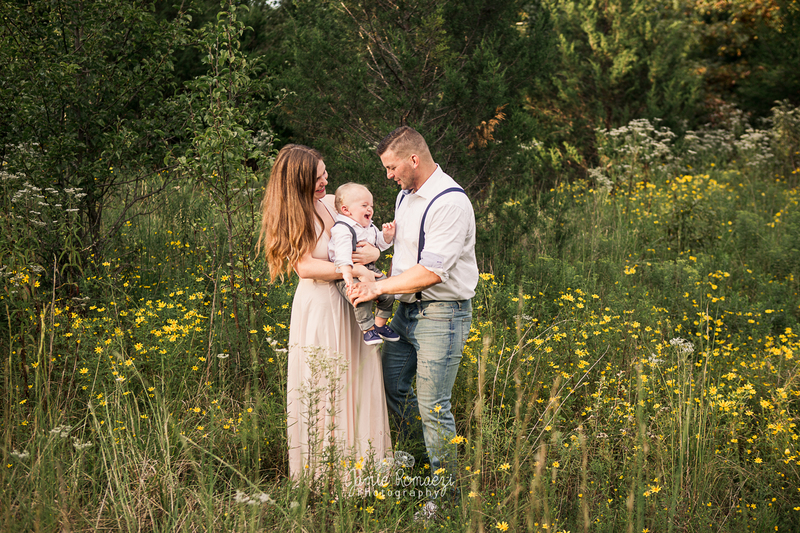 Family of 3 in a field of yellow flowers, white flowers and tall grass. The parents are looking at their baby. Mom is dressed in a long tan maxi dress and father and son are wearing suspenders and a bow tie.